It doesn’t matter how advanced you are, at some point you’re going to hit a training plateau. Here are some techniques to help you bust your workout rut and start growing again. The best part of training is seeing results. Looking at yourself in the mirror and witnessing the crazy pump and increased muscle size is the reason most of us work out in the first place. We want to make changes to our physiques. Unfortunately, nothing good lasts forever. Building muscle, like most things in life, has its share of ups and downs. Whenever muscle growth occurs, it will only last for a period of time before the body plateaus and progress comes to a grinding halt. This sticking point can be the result of your training program, your nutrition, or lack of recuperation. Also, partly to blame is an evolutionary bias toward adaptation, and your own genetic makeup. Wherever the fault lies, you will need to change something in order to stimulate the body and get it growing again. Below are some solutions to the inevitable problem of reaching a plateau in muscle growth. Try them and bust out of your rut. When you train too much, you don’t allow the body to recuperate. This leads to overtraining, the most common reason for a training rut. Many people feel like they can work out continuously without taking a day off as long as they are training different muscle groups each day. However, every time you work out, your central nervous system is being put to use. By training every day, your body as a whole will become overtrained, even if you are not overdoing individual muscle groups. No matter what training cycle you use, you should be taking at least 1-2 days of complete rest each week. These days off are crucial in allowing your body to recuperate, so growth can take place. You’re not a machine. Training every day will slowly grind your body down to a halt. This also happens when you do too many sets each workout. Your body has a limited supply of energy for each training session. Anyone who works out for hours at a time, doing an endless amount of sets each workout, is going to quickly drain that energy supply until there is nothing left. Doing set after set, with or without intensity, will just deplete your energy reserves without promoting muscle growth. A much more effective way to train is to do more with less. 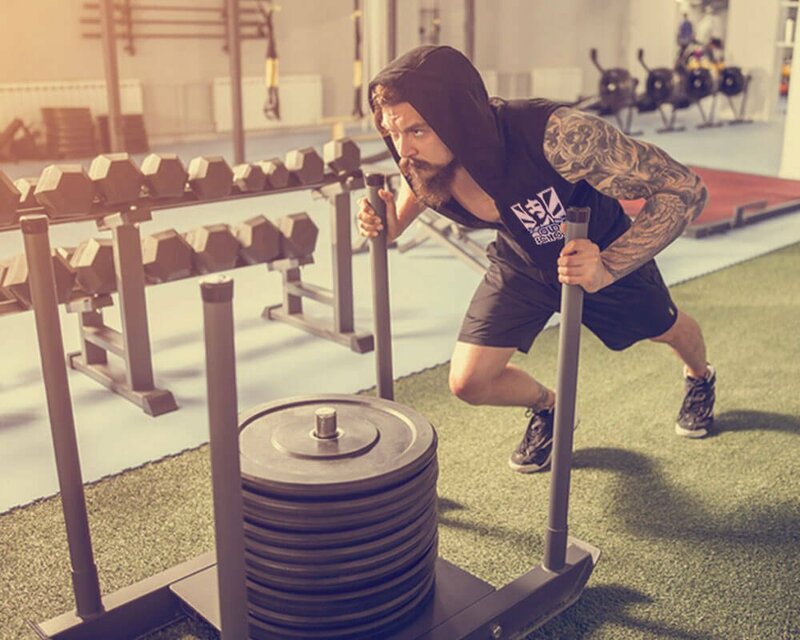 By training more intensely (heavier weight, training to muscular failure, or training faster), you will be able to get a greater stimulus without having to do a large amount of volume. High-intensity training can also be a double-edged sword when it comes to overtraining. Pushing the muscles to train to complete failure is exhausting to the nervous system as well as the muscles themselves. Although high-intensity training is a great method for building more muscle, the proper amount of recuperation has to be taken into account. Training extremely hard without the proper amount of rest will quickly lead to stalled gains, or worse: injury and illness. Calibrate your training to your abilities. 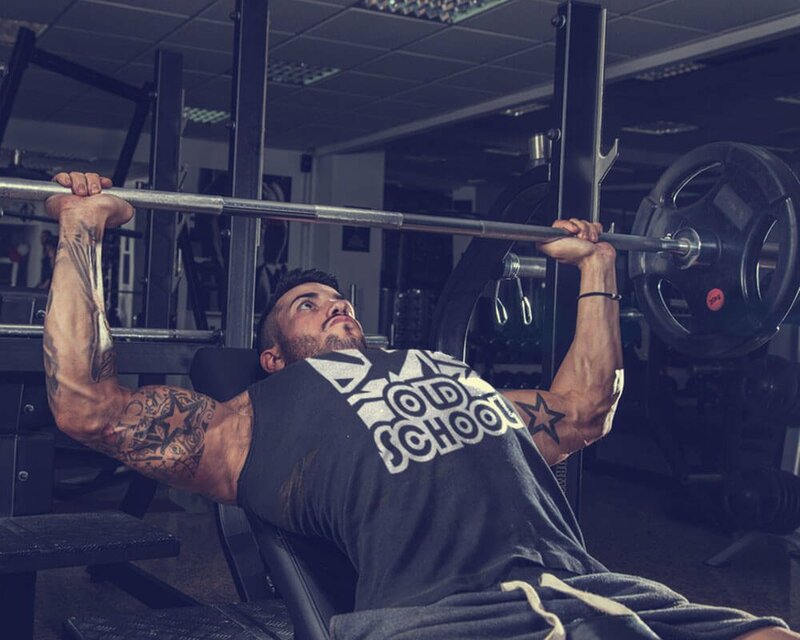 In bodybuilding, change isn’t just good, it’s necessary. No matter how great a single workout is, if you do it over and over again, it will eventually stop working. Blame adaptation. Muscles adapt to the damage inflicted by weight training by growing bigger and stronger. But if the stress imposed on the body is the same, eventually the body will stop responding and the growth will cease. One way to get muscles to respond is to change your training method. If you are using a program that involves heavy weights for low repetitions and a moderate-to-low volume of sets, you could try training with lighter weights, doing more reps, and training at a faster pace. As long as the workouts are intense and progressively increase in intensity each week, the muscles will respond to the new training stimulus. Besides increasing your intensity and adjusting training volume, you can simply start doing different exercises or change the sequence of sets and reps. You have endless varieties available to you in workout regimens. Making even simple changes can help your body grow again. How do you change your workouts? It’s easier than you think. One way is to utilize different equipment for the exercises you like. If you normally use dumbbells for your chest exercises, try switching to barbells. If you always do leg presses for quads, do squats or front squats instead. All exercises affect the muscles in different ways, so changing up the exercises will make a difference in your progress. Another method of overcoming a plateau is to change your training frequency. If you train five or six days a week, and your body seems burnt out, try something completely different. For instance, train your whole body in one workout by using only one or two exercises per muscle group. Do this workout two or three times a week. The decreased volume and increased frequency might just be what you need to break through a plateau and start seeing progress again. Not all plateaus are caused by training. A change to your nutritional regimen could stimulate the body to start growing again by providing needed amino acids and macronutrients. Many people follow a low-calorie diet in order to maintain a ripped physique all year long. Unfortunately, this constant reduction in calories may also inhibit the body from building new muscle tissue. Staying lean may cause the body to be in a plateau and not change, no matter how hard your workouts are. By increasing your calories a couple of times per week, you can stimulate the body to start growing again. The higher calorie days will help increase metabolism, as well, by providing the carbohydrates and protein needed for muscle growth. Another problem that could lead to a plateau is not eating enough meals. If your eating plan is all over the place and you’re eating your meals sporadically, you may not be ingesting the nutrients your muscles need. 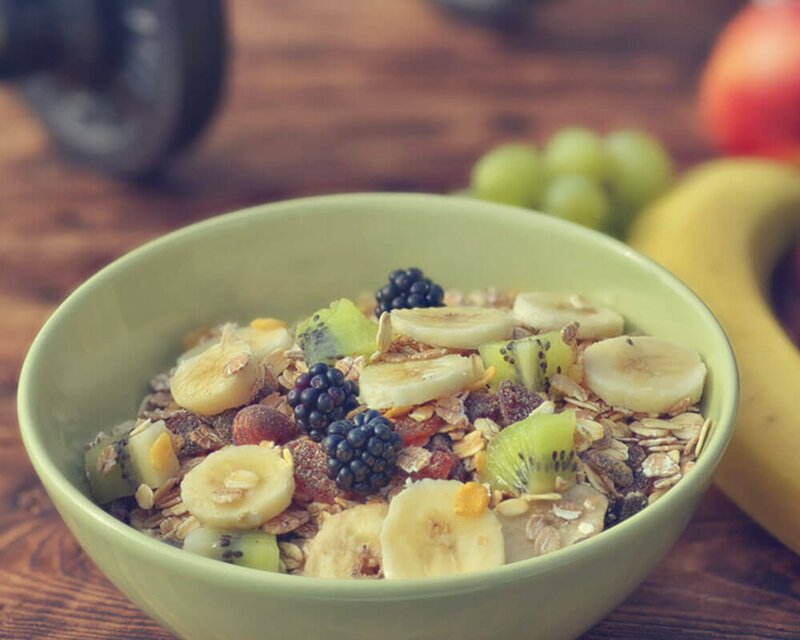 Breakfast and your pre- and post-workout meals are extremely important in stimulating metabolism and providing the anabolic nutrients needed for muscle growth. Your first meal of the day should supply enough protein, carbs, and fats your body craves after the long fast of sleeping. After a workout, your glycogen storage will be depleted from the intense workout you engaged in, so you need to provide your muscle cells with carbs as soon as possible to help your recuperation and growth. Eating enough calories and ingesting your meals on time is a big factor in muscle growth. Being consistent with your nutrition plan and changing up your calorie intake could be just the stimulus your body needs to break a plateau and start growing again. Another method in busting through a training plateau is to try bodybuilding supplements. If you don’t already, you may want to try a pre-workout, a post-workout, and other products that support energy, recovery, and growth. While your whole-food diet is more crucial to your bodybuilding success, supplements can help spur you on to a more productive workout and efficient recovery. Have you ever been in a training rut? If so, what worked to get you through your plateau? Tell us in the comments below.